“It’s abstract, but not abstract in emotions. GRASLAND is a family production inspired by the life and music of the Hungarian composer György Ligeti. In this music theatre production, we observe a hare mysteriously appearing and disappearing, we follow eleven young children playing children’s games and singing Hungarian songs, we see an artist drawing large-scale landscapes and we hear a pianist playing. All these ingredients reflect elements of Ligeti’s work, life and inspiration. Video projections and fragments of electronic music will plunge the audience further into a creative surrealistic journey that covers some of the richest music of the 20th century. This production contains no spoken text and is suitable for anyone above the age of eight years. In our research to present Ligeti’s world to young people, we looked for a way to create concrete and playful connections to the abstract ideas in many of his compositions. To reveal emotive layers in Ligeti’s music, a visual artist will draw enormous landscapes live on stage, and video projections are beamed to translate Ligeti’s micropolyphonic music structures to the screen. 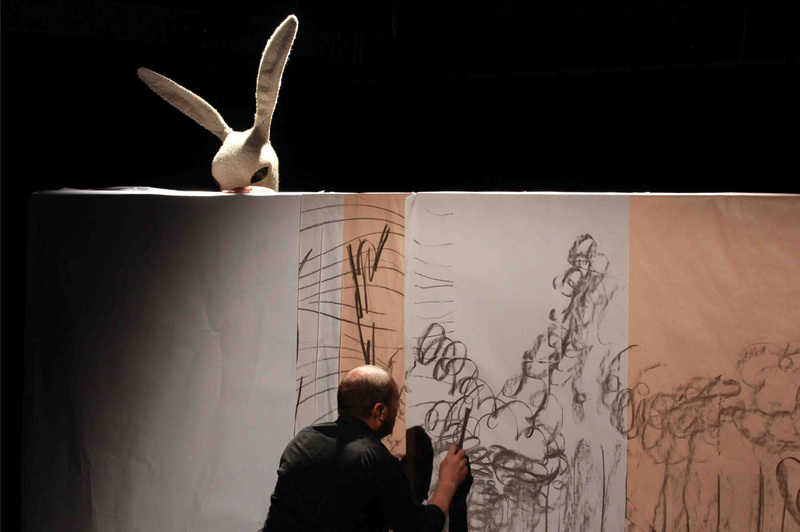 His approach to music, being a composer who reinvented himself repeatedly, is symbolised by a rebellious hare on stage, fooling the painter, the audience and the children. The hare plays jokes but is constantly deconstructing a place, a system. Ligeti’s personal life against the backdrop of devastating ideologies in his lifetime is evoked by the voices of a children’s choir who at first glance seem to be playing innocent games. They run and fool around in painted landscapes but gradually highlight underlying tensions between them and the others. At first, the hare seems to be in control, but then the situation is reversed. All these forces coincide in an absurd endgame: a devil’s staircase leading to eternity. 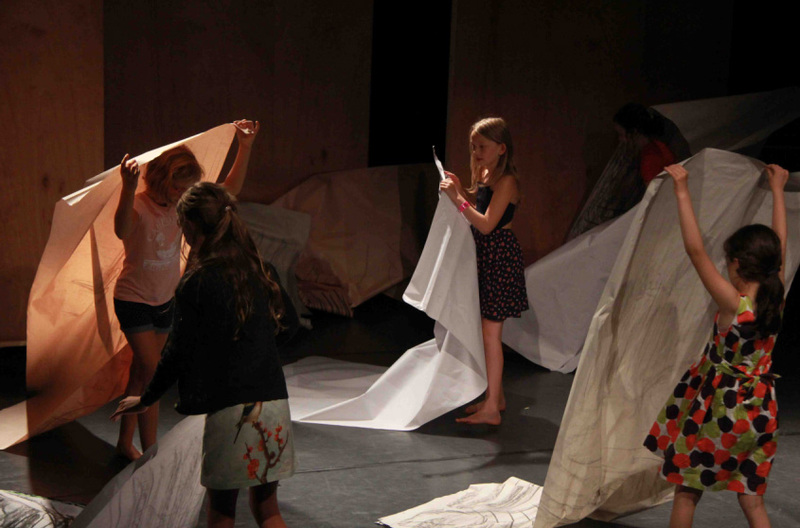 GRASLAND is a performance, which introduces the music of Ligeti to children and their families. It is a performance for and with children. Through the participation of local children, we believe that both the audience and participants in each different city or country will relate more personally to Ligeti’s music and to contemporary music in general. For this project, we work with a small children choir. The children are required to sing and, more importantly, they must have fun being on stage! In a 3-4 day workshop prior to the performances, we work both musically and theatrically. A local children’s choir will receive the sheet music well in advance. They must know the songs before joining our workshop. Both our instructors have extensive experience in working with children from different backgrounds: Tjyying Liu has worked intensively on theatre and art projects with children from the age of 4 and up. In the Rijksmuseum Amsterdam, he has developed an interactive family tour through the museum and as a director and actor, he has worked on shows with and for children. 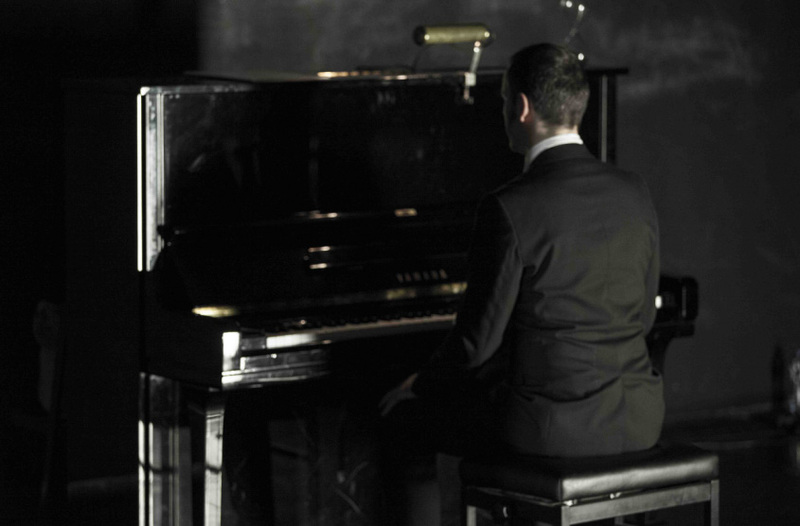 Jeroen Malaise has been active as a piano teacher at many music schools in Belgium. He has developed several educational programmes for children and worked with kids on and off stage. GRASLAND is a performance produced by INGRATE art productions (Italy) and Usine à Neige (The Netherlands).